We live in a time of monumental change. While many have written about the shift that is unfolding, in the end, what people yearn for is a way to make this new worldview concrete and tangible. How do we build our institutions to reflect the new reality? This is what Beyond Vengeance, Beyond Duality (Hampton Roads, 2010) offers readers; a blueprint for transformative change that begins with a central pillar of our culture, how we define justice. The unique way in which the pieces of the puzzle are assembled in Beyond Vengeance, Beyond Duality make it more difficult for those who defend the old order to make their case, and it will give legitimacy to those who are building the new forms. Through this frame, old approaches to law, government, business, religion, education and economics are seen in a fresh new way that leads to concrete answers. A new world is at hand and we need not wait! Available on Amazon. In an age of terrorism, global warming and dwindling resources, accomplished attorney Christi Daniel desperately searches for a better approach to our legal, governmental and political systems, taking the reader on a journey from fear-based public policy to enlightened public policy. Her mentor through the process, Founding Father George Washington, reveals a world in which harmony, unity and balance can save us from disaster. As Seven Spiritual Principles for Governing a People are unveiled, what seems impossible becomes tangible, within Christi's grasp and ours. Mystery, romance, politics, intrigue and an important message for our troubled times, all in one good read. (New Founders Press, 2006) Available on Amazon. Molly Soeby, Mounir Tabet, Elaine Rigas and Slavica Indzevska-Stojanovic. “Clute is part of an early wave of new social policy that is gaining strength. . . . Her credentials are impeccable, her research extensive, and her arguments are persuasive." "Sylvia Clute does a remarkable job of providing a vision of hope and healing in the midst of enormous cruelty, injustice, and harm affecting millions of Americans--particularly those of color--caught up in our criminal justice system." 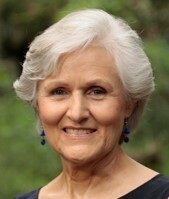 "Sylvia Clute provides an evolved blueprint to follow by all who desire to be a beneficial presence on the planet. It is of great service in stripping away the illusion of fear and replacing it with the full force of love." "Brilliant. An essential guide, moving us from current systems of vengence to the paths of restorative justice, and more." "A great read! A gripping, page-turning vision of how to find our way out of pressing global issues. The book inspires you to the core in its potential for private and public transformation."